If only anonymous internet nutters were making such attacks, they wouldn’t matter. But a concentrated attack by BJP-RSS sarsangchalaks is leading to the steady purge of Nehru from India’s history books. Betwa Sharma reported in 2016 that students of Class VIII in BJP-ruled Rajasthan are no longer learning that Nehru was India’s first prime minister or that Nathuram Godse, a Hindu nationalist, assassinated Mahatma Gandhi. Nehru’s iconic tryst-with-destiny speech has already been removed from school syllabi and textbooks in some states, reminding one of how Jinnah’s famous Aug 11, 1947, speech was ‘disappeared’ in the Ziaul Haq era. But irrespective of what Muslims and Pakistanis may have thought in the past, or perhaps still think, the RSS always took Nehru at his word. It both feared and hated him for it. In particular, it has never forgiven him for banning the RSS after Gandhi’s murder and for fiercely opposing a Hindu rashtra (state). One Hindutva activist wistfully writes that had Nehru handed over charge of India after Independence to the deserving sanghis, India would have “attained ram rajya by now, with a hundred crore people chanting ‘hanuman chalisa’ a dozen times a day”. 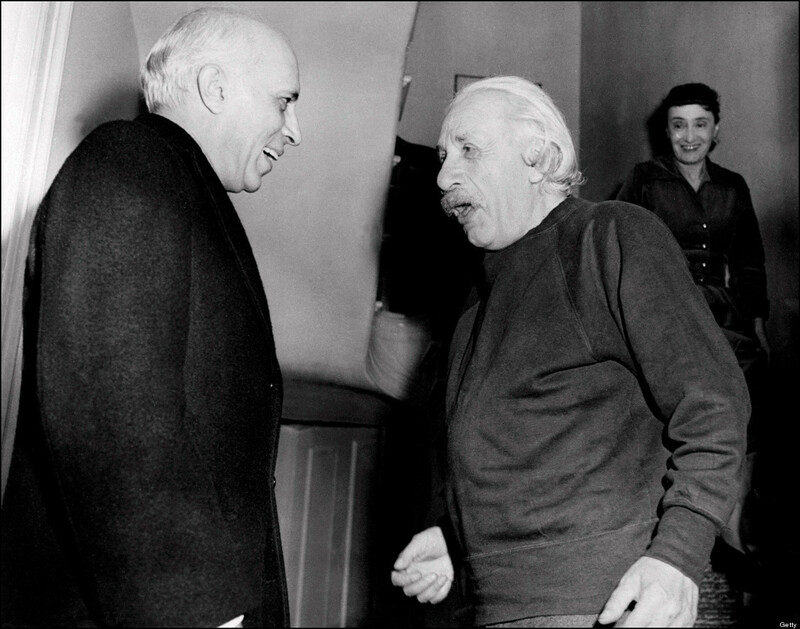 Nevertheless, there are paradoxes and contradictions that Hindutva cannot escape as it seeks to banish Nehru. All Indians, including right-wingers, take great pride in their country’s scientific achievements. But imagine for a moment that Narendra Modi, not Jawaharlal Nehru, had been India’s prime minister in 1947. What might have today’s India looked like in scientific terms? This entry was posted on Wednesday, June 6th, 2018 at 00:03	and is filed under Uncategorized. You can follow any responses to this entry through the RSS 2.0 feed. Both comments and pings are currently closed.